Age 80 of East Canton has gone to spend eternity with God and those gone before after a long fight with cancer on April 12, 2019. Loretta was born October 24, 1938 to the late Lawrence Sr. and Mary (Glass) Rice. She was a former member of Valley Chapel Church where she was a Sunday School teacher and the cemetery sexton for many years. She was a current member of Mt Tabor United Methodist Church where her great grandfather was a founding father. She was active in Lunch Bunch, UMW and the choir. She was also a former member of the McKinley Kennel Club where she trained her show dogs. She was a breeder of German Shepherds and Toy Fox Terriers until her health deteriorated. 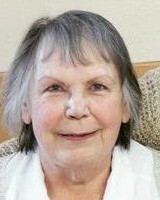 She is preceded in death by her loving husband of 55 years, Willis Krause; two brothers, Lawrence Jr. and Ronald Rice; a sister, Mary Lou Wright. Survivors include three children, Laura (Robert) Ball, Dale Krause, Beth (Mike) Clapper; four grandchildren, Jason and Chris Morris, Victoria Ball, Tara Clapper; four great grandchildren, Tristan, Rowan, Braeden, Mark Willis; three brothers, Ray Rice, Edward (Sue) Phillips, Albert (Robin) Phillips; a sister, Janet (Paul) Fishel. Funeral services will be Friday, April 19, 2019 at 12:00 pm in Mt Tabor United Methodist Church, 108 E. Walnut St, East Canton, OH 44730, with Pastor Jon Hutchison officiating. Interment in Mapleton Cemetery. Friends may call two hours prior to the service on Friday at the church from 10:00 am – 12:00 pm.